Delhi Subordinate Service Selection Board (DSSSB Recruitment 2019 Notification) invites applications for the post of 264 Junior Engineer and Assistant Engineer. 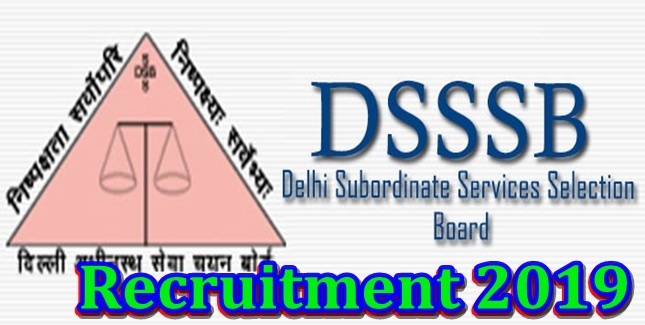 If you are interested in this DSSSB recruitment 2019, you can apply the application deadline before 01 March. This is the information related to the DSSSB Recruitment Notification 2019. Degree in Civil / Electrical Engineering from any accredited University or equivalent in Civil / Electrical Engineering or Diploma from a recognized University or equivalent. The exemption will be given in accordance with the instructions / orders issued by the government. 100 / - for General / OBC, pay the examination fee through debit card, credit card, net banking or SBI challan. Scheduled Castes, Scheduled Tribes, and female candidates of physically handicapped and ex-servicemen are exempted from application fee. Interested candidates can apply online through DSSSB's website www.dsssb.delhigovt.nic.in or https://dsssbonline.nic.in from 30.01.2019 to 01.03.2019.